THE PICKIEST EATER IN THE WORLD: HAPPINESS IS A GLASS OF ALASKA MILK! 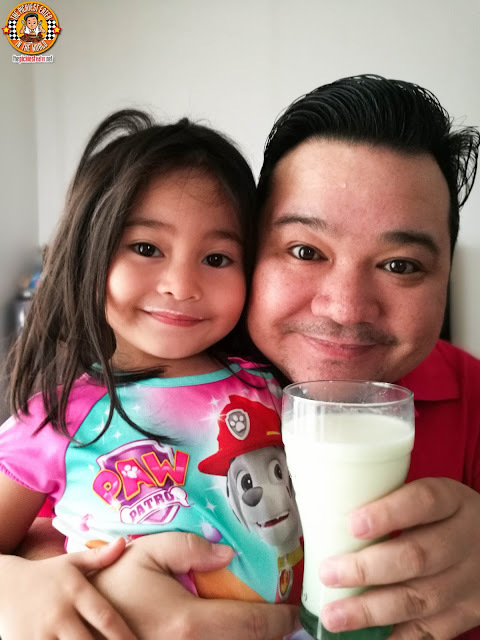 When I became a father and had the task of feeding my own daughter, I realized that had my mother tried different tactics on me, I might have realized how delicious milk was. My mom kept telling me to drink my milk because it was healthy and would help me grow. Unfortunately for me, I didn’t heed her advice. If I did, there’s a good chance that I wouldn’t be the rotund (I prefer “cuddly”) blogger you know today.. but maybe that isn’t such a bad thing. I think it was more her approach of how she stressed on how it’s “Healthy”, which I immediately associated with food that I don’t eat, that turned me off. Had she tried other ways like what Rina and I did with Rain, such as paired with Cereal, or even dipping freshly baked cookies into a warm glass of milk, may have given her a new perspective on it. We luckily managed to make drinking milk a happy every day activity for her, instead of a mandatory daily routine. Given the combined stature of my wife and I, it’s no secret that Rain would never really be in the running for Asia’s next top model or anything like that, but the benefits of Milk span far more than just height. It’s integral to building muscle for Rain’s strength, it gives her the energy she’ll need to get through her day, and provide her with Vitamin A to help keep her eyesight sharp. 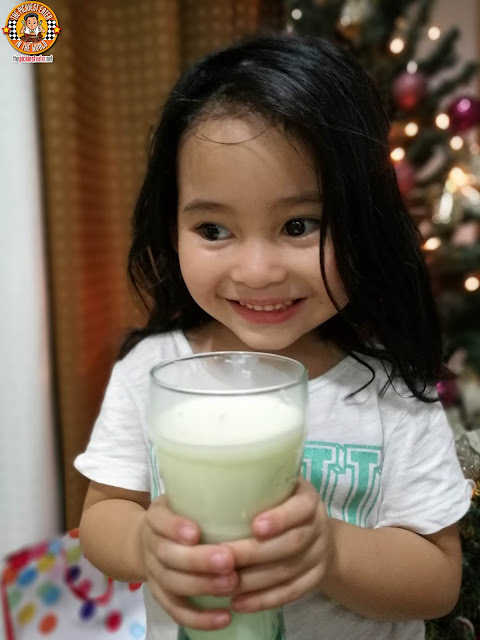 Apart from that, Milk provides Calcium that helps protect her teeth and builds strong bones, improves her memory, making her school work easier, builds up her immune system and even helps her be alert by increasing her good energy and blood metabolism! All of those benefits in a delicious glass of creamy goodness! 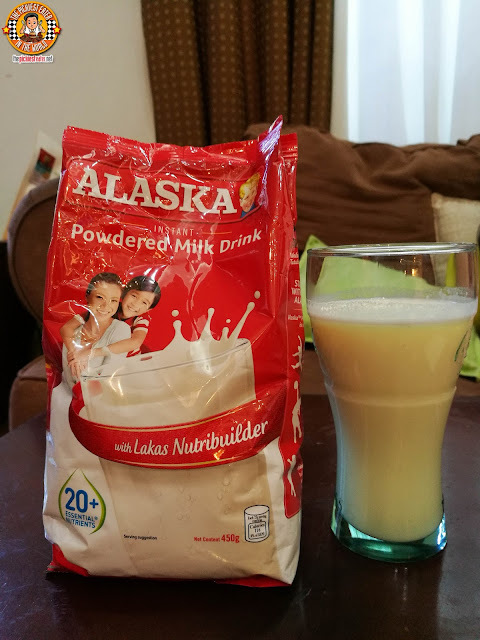 Rain and I never fail to start the day with a glass of Alaska Powdered Milk. She actually gets amazed watching the powder dissolve into the water, and pretends it’s a “Magic Potion” from her favorite TV show, “Sofia The First”! I really look forward to this part of my day, because it somehow helps but me at ease before I head off to work, knowing that I helped prepare her for the world ahead. I know there’s going to be more to her day than that, but knowing that I’m “arming” her at such a young age with the necessary nutrients to help get through whatever comes her way gives me a bit of comfort. When Christmas vacation came around, Rain started missing her classmates who happen to live in our village as well. 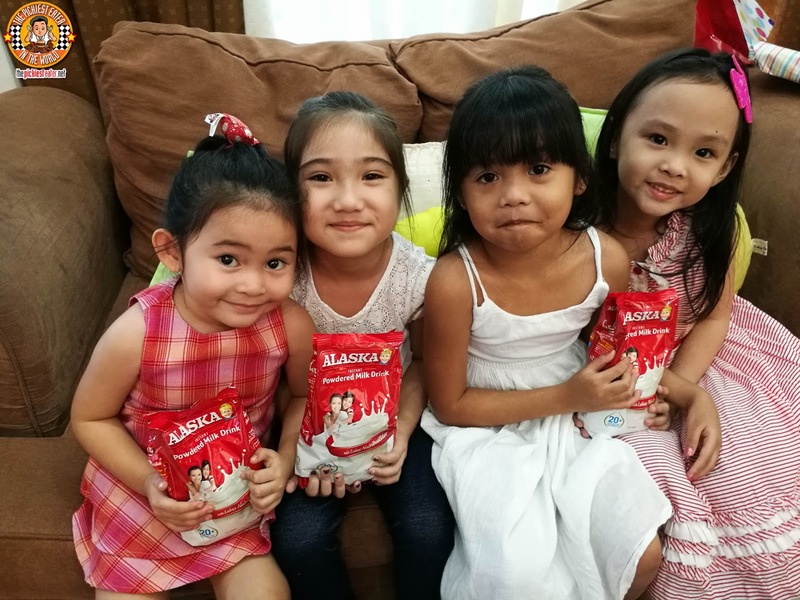 We invited some of her best friends (“Besties” as they’re apparently called nowadays), over to our house for a playdate. 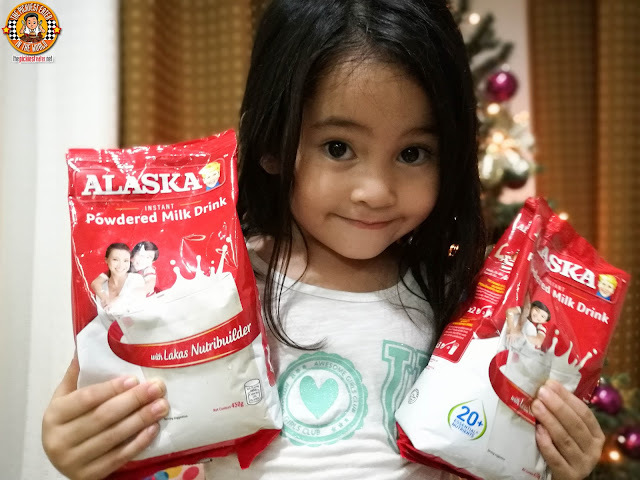 We used this opportunity to share our love for Alaska Milk with them, and use “Taste Emoticons” to see how much they’d love it as well!